Five more names in three classes have been added to the British Olympic Sailing line-up, leaving just four names in two classes to be confirmed. Gael Pawson assesses the news. With 150 days to go until the 2016 Olympic Games in Rio, the British Olympic Sailing line-up looks almost complete with the addition of five more sailors to the team. 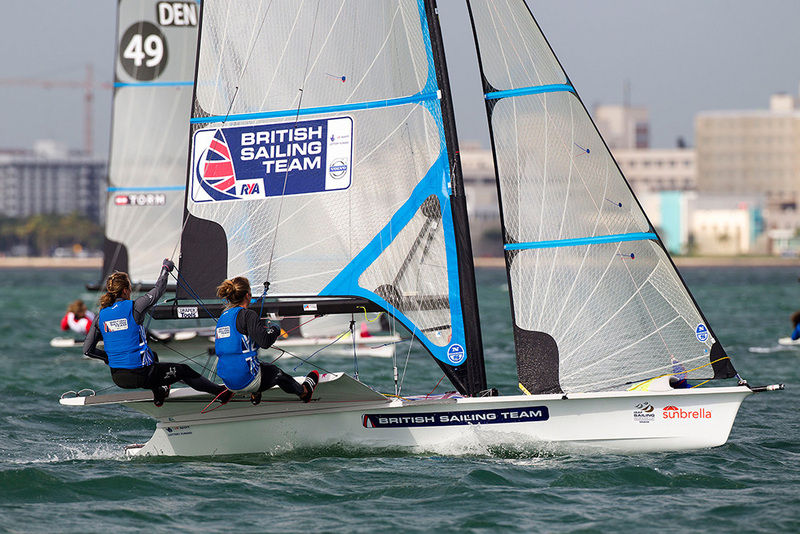 The British Olympic Association (BOA) announced today that five additional sailors from three classes have been selected to compete for Team GB this summer. Nick Dempsey, Charlotte Dobson and Sophie Ainsworth, plus Ben Saxton and Nicola Groves will join the team. However, sadly the BOA, in conjunction with the Royal Yachting Association, has made the difficult decision to deselect the 470 Men’s pairing of Luke Patience and Elliot Willis (previously selected back in September 2015) due to Elliot’s ongoing treatment for bowel cancer. 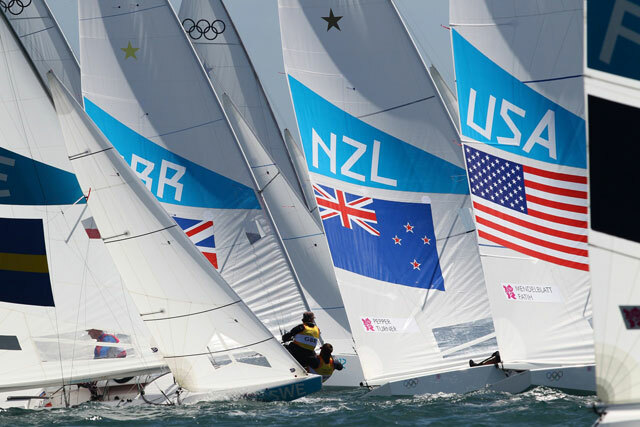 Selection trials in the 470 Men’s event will therefore continue, with the trials in the 49er class also ongoing. 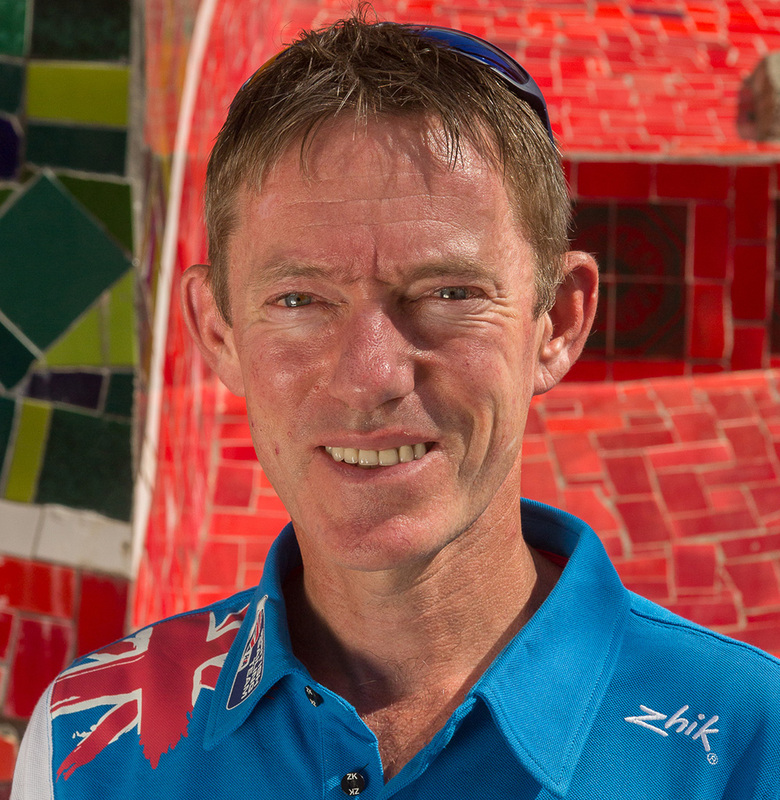 Nick Dempsey is the second-oldest member of the team at the age of 35. Photo Richard Langdon/Team GB. Nick Dempsey is the second-oldest member of the team at the age of 35. He is set to become a five-time Olympian in Rio after winning silver in the London 2012 Games and bronze in Athens in 2004. 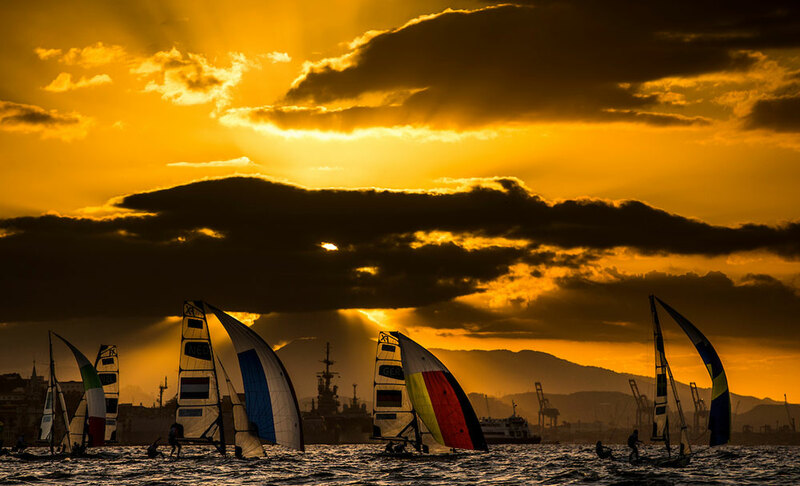 If the double World Champion wins gold in Rio, he will become the most successful men’s Olympic windsurfer in history. 49erFX British women's duo Charlotte Dobson and Sophie Ainsworth. Photo Richard Langdon/Team GB. Charlotte Dobson and Sophie Ainsworth, who finished fifth at the 2015 49erFX World Championships, will make their Olympic debuts in the 49erFX – a new event for Rio. Glasgow-born Charlotte Dobson, 29, had previously campaigned in the singlehanded Laser Radial class. She said: “It’s absolutely incredible, it has been a long time coming. I have done two cycles as the bridesmaid in a boat on my own, and this time it’s so amazing to be the bride eventually. It’s just really cool to have done it with Soph in a team, it almost makes it feel a little bit more special being able to share it with somebody." Nacra 17 British Olympic representatives Ben Saxton and Nicola Groves. Photo Richard Langdon/Team GB. 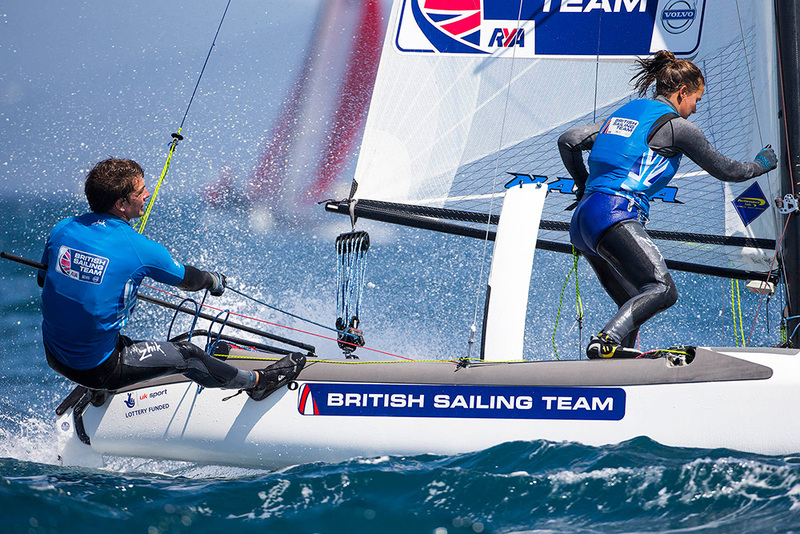 Nacra 17 2015 European Champions Ben Saxton and Nicola Groves will represent Great Britain in the Nacra 17 mixed multihull event, which also sees its first Olympic Games outing this year (read more about all the classes and the Olympic Games history in our special guide). 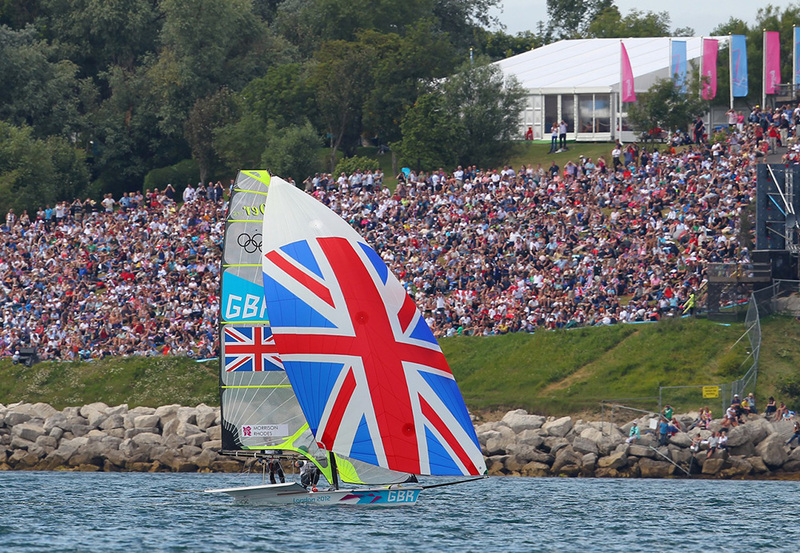 Hopes are high that Team GB can deliver a number of sailing medals, even improve on its performance in 2012. While we are still a long way away from the 2016 Olympic regatta, Giles Scott looks like a very strong hope for Gold as he remains unbeaten since early 2013. Other team members have shown strong form, including Bryony Shaw, who recently won a silver medal at the the RS:X Women's world championships. Hannah Mills and Saskia Clark will be looking to better their silver medal from 2012, while Nick Thompson, who so narrowly missed out on selection in 2012, has always been a strong talent and must be hungrier than ever for an Olympic medal. Stephen 'Sparky' Park OBE, RYA Olympic Manager and Team GB Sailing Team Leader said: “It’s fantastic to be naming some new first time Olympians to be joining the team already selected, and fantastic that Nick Dempsey will have the opportunity to try and complete his medal set at his fifth Olympic Games."